Two of the biggest names in snowboarding get together to fully outfit you for the slopes. 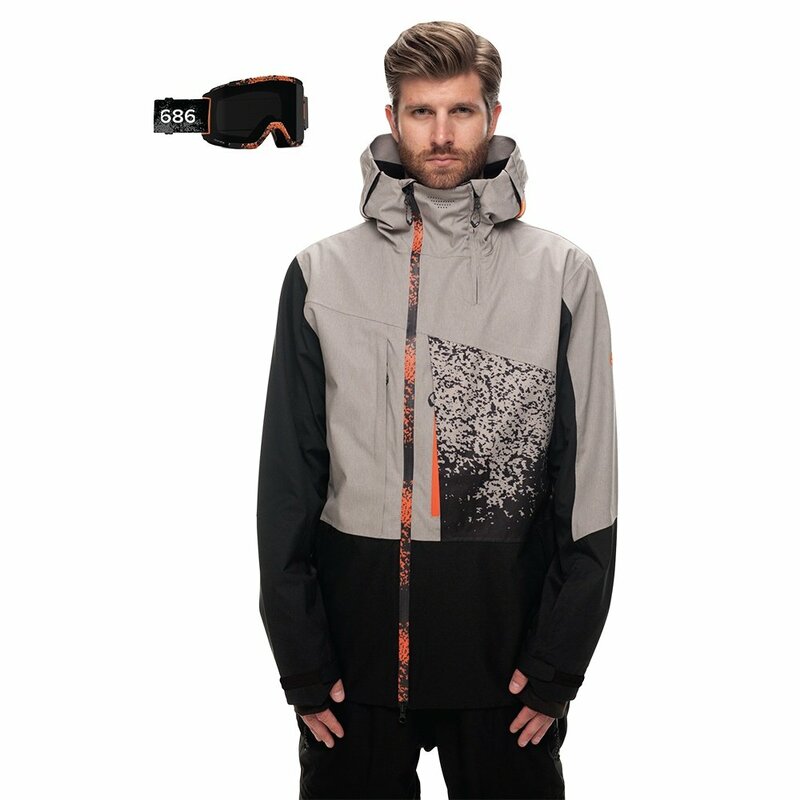 The 686 Smith Squad Snowboard Jacket is a package, pairing a high-performance 20K/15K jacket and a Smith x 686 Squad Goggle with Chromapop Sun Black Lens to drop in the mesh goggle pocket. This jacket's one-cinch hood drops around those goggles to help keep you extra warm and bundled. A powder skirt helps out at the waist. Pop the Air-Flo™ vents when things get stuffy, and you'll cool down in a hurry. Meanwhile, Vader™ Vents prevent those Smith lenses from fogging up when you're all bundled.